This is my 3rd article in the bonsai preparation series. After pruning, it’s time to wire the plant. 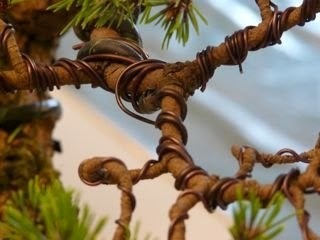 Why Should I Wire a Bonsai? Well, the basic purpose of wiring is to modify the natural arrangement of the branches to grow and to make our very own signature style. It also keeps the plant sturdy and provides support for most of the plants. Also, there are no particular season or time of the year to do the wiring; it can be done a year long. 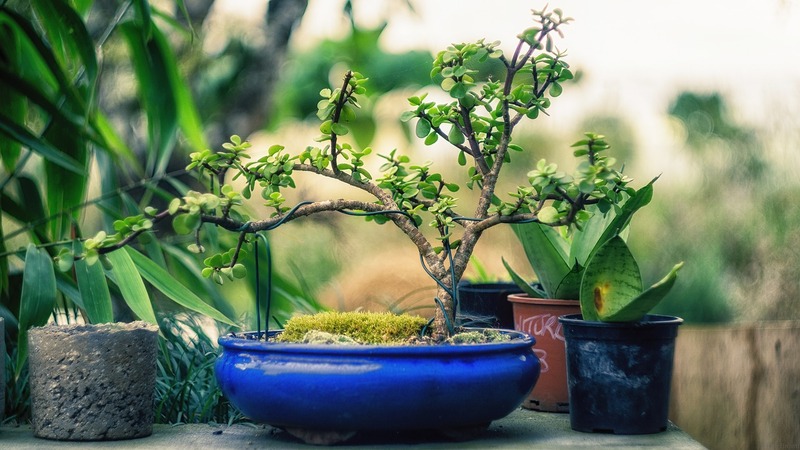 How To Wire A Bonsai Plant? Most common types of wires are made of copper or aluminum. If you are a beginner, it is advisable to start with the aluminum ones as they are much easier to work with than the copper wires. Put plastic or some kind of fabric around the trunk and the branches to make sure the wire doesn’t stick into the bark. In some cases, where the trunk is too thick or fragile for bonding, you need to create a loop in the wire and slowly increase or decrease the pressure as the time goes on. This is also called Guy- wiring. Wiring should not be very close as it will affect the sap flow and not too wide otherwise it will loose its purpose. A trunk is the main structure of the plant. To start wiring, you need to choose a wire that is at least 1/3rd times longer than the length of the trunk. The width of the wire depends on the trunk’s width and it should be thicker than those that hold the branches. In case the trunk is very thin, use a thinner wire. Anchor one side of the wire to the soil or at the bottom of the growing pot and then begin to coil the wire at a 45-degree angle around the trunk. Make the curves narrower while you are moving towards the top. You need to wire this to reduce the tension of the branches and maintains the direction of their growth. While wiring branches, start working outwards from the trunk and avoid overlapping. Try one piece of wire to bend two branches which are near to each other (it is also called double wiring). You can do this to most of the primary branches. For rest of the branches use separate wires. Start wiring the secondary branches only after finishing the primary ones. The procedure will be the same. Secure the wire by coiling it around a primary or a secondary branch. Leave the top portion of the plants little loose. These are the portion with soft growth. How Long You Need To Keep The Wire To The Bonsai? The wiring is done for the purpose of styling and it is certainly not very good aesthetically. That is why you don’t need to keep the plant wired permanently. How long it should be there? Well, it depends entirely on the plant genre and variety. With the passage of time, the trunk and the branches become thicker and eventually the wire begin to bite into the bark. So keep a close eye on that and as soon as you see any sign of this cut the wire right away. Don’t try to unwind the wires for recycling purposes, it might do more harm than good and can damage the plant permanently. Got any suggestion? Please use the comment box below.